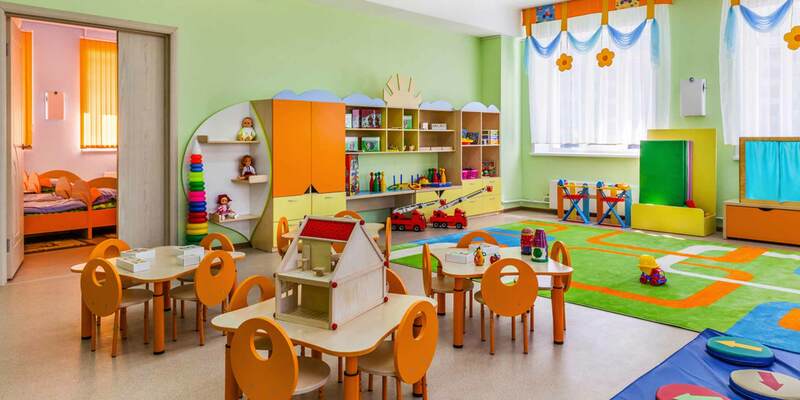 The first day of a new year or term at your child care center is both exciting and hectic. As a child care provider, chances are that as this day approaches you are busy getting the supplies you need, organizing daily daycare schedules for each class and age group, and coming up with activities that will engage and develop your students. However, in addition to these child-focused preparations, there are a lot of logistical tasks that must be taken care of before the children arrive on their first day. When parents drop their children off on their first day at your child care center, they need to be assured that you and your staff are fully prepared to care for their children’s needs, and that they will be secure in your care. As a result, they are required to fill out multiple child care forms for you and your staff to have on hand. In addition to child care forms, there are multiple personal items that parents should bring on the first day to ensure their child is healthy and comfortable while away from home. Keeping track of all of the forms, information, and additional items that parents need to bring on the first day can be difficult. To make this easier, the Procare team has outlined a list of everything a daycare provider needs before the first day of the school year, including free child care forms and templates for child care providers to download and use. This form should include personal and medical information for the child, as well as their parent or guardian’s information. Child care providers should give parents plenty of time to fill this out, and arrange any doctor’s visits that might be necessary. It’s important that the form includes information like the child’s birthday, medical information, and allergies. This ensures that arrangements can be made to accommodate each child’s health needs prior to the first day. For example, if a child has a peanut allergy, you might choose to make your care facility peanut free. Following information on the student, this form should include the names and contact information, including home, mobile, and work numbers for primary and secondary guardians. Finally, this form will include the best person and number to contact in the event of an emergency, as well as any other people the guardian wants to authorize to pick up their child. Child care providers have to know where each student is while in their care. That’s why attendance tracking sheets are necessary to manage each child from the moment they are dropped off in the morning until they are picked up at the end of the night. To account for this, child care providers will need daily sign-in sheets, roll call sheets, and bus run sheets. Daily sign-in sheets can be filled in each morning by parents as kids are dropped off at school, while roll-call sheets can help you keep track of attendance between activities, such as if your care center has outdoor time during the day. If your child care program uses a bus or another transportation system to pick up and drop off at the beginning and end of each day, daily bus run sheets can help you and your staff ensure each child is on the correct bus, gets on and off safely, and meets their guardian. Child care meal tracking sheets are especially important if your child care center relies on the USDA’s Child and Adult Care Food Program (CACFP) which requires centers to track how many meals are claimed at your centers. Aside from CACFP, tracking the meals each child eats during the day is an important part of reporting to parents at pick up. Tracking what they ate during the day will inform what they are served that night, while helping to notice strange eating patterns that might be indicative of health issues. As these forms and the information stored on them need to be easily accessible at all times, and often on the go, a child care management software can provide value through offering accessibility and automation. It is a good idea to have parents bring one or two sets of extra clothes, as well as a smock for painting. Kids can be messy especially during crafts, outdoor play, and at meals. Having clean clothes will ensure your child is comfortable. Additionally, it is a good idea to have parents bring seasonal supplies, such as hats, mittens, and scarves in the colder months, and sunscreen when it's warmer. Depending on your child’s age, you may want to send them to their daycare center or after school program with a specific formula or snack. Make sure they also have their bottle or sippy cup. Finally, have parents bring one or two comfort items that will help their kids feel more at home in their new environment. This might be a favorite blanket, stuffed animal, or a picture of your family. Make sure everything you send in with your child is labelled with their name, as they can easily lose track of their possessions. As the first day of your child care program approaches, it is important to make sure you have everything you need to ensure each child is comfortable and safe. Following this checklist will give you the material you need to stay in touch with parents, track child check-in, check-out, and attendance throughout the day, and help your student to feel more at home while in your care. Looking for even more child care forms? Access all of our free and printable templates here. Easy to navigate and great customer service.